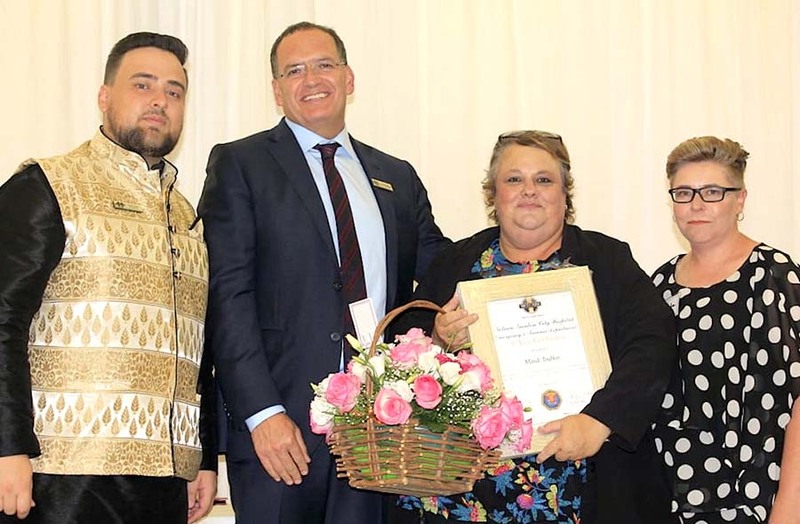 ​The emergency department at Netcare Garden City Hospital, the first private 24-hour emergency department to be established in South Africa and one of Johannesburg’s best-known emergency facilities, recently celebrated 30 years of service to the community. “Netcare Garden City Hospital emergency department, which has been serving emergency patients from around the African continent since it first opened its doors in March 1989, has made an immense contribution to emergency and trauma medicine and most notably within the field of paediatric emergency medicine,” pointed out Mande Toubkin, Netcare’s general manager: emergency, trauma, transplant and CSI, who spoke at a function to mark the occasion. “Over the past 30 years the department has treated emergency and trauma patients from a number of major disasters and have been there to assist many South Africans in their time of greatest need. Today we honour and pay tribute to the many men and women who have served the department and hospital with such dedication over the years,” noted Toubkin. The anniversary celebration, which was rather fittingly held in the Netcare 911 helicopter emergency service (HEMS) hangar at Netcare Garden City Hospital, was attended by the Netcare Group’s chief executive officer, Dr Richard Friedland and other representatives from Netcare, Netcare 911 and the hospital, as well as trauma doctors, current and former staff members, former patients and a number of key stakeholders from the emergency sector. Tributes were paid to the dedicated staff who served the trauma centre over the last three decades, while Mande Toubkin and well-known trauma surgeon, Professor Ken Boffard, who heads up the Level 1 trauma system at Netcare Milpark Hospital, were recognised with special lifetime achievement awards for their contributions to the development of the trauma sector in South Africa. Also recognised for their contributions to the development of the Netcare Garden City emergency system were Dr Khalid Mirza, the trauma director at Netcare Garden City Hospital; paediatrician Dr Miles Bartlett; Dr Christian Piccolo, emergency medicine director for the hospital; and Dr Grant Futcher, who first opened the department with Dr Graeme Monteith. Faiyaz Buys, head of the emergency department at Netcare Garden City Hospital, gave an overview of the proud history of the facility. Martin Brown, a multi-award winning businessman and motivational speaker, who in 1997 was injured in a freak diving accident that irrevocably changed his life, shared his experience of the hospital at the event. Martin broke his neck in the accident becoming a quadriplegic, only able to move his head. “I was a 26-year-old medical student who worked as a part-time student paramedic at the time of my accident and had quite often assisted in bringing emergency patients to the emergency department at Netcare Garden City Hospital. I was consequently shocked that I myself became an emergency patient after my accident,” he related. “I spent some three months in Netcare Garden City Hospital’s intensive care and high care units and consider myself to have been most fortunate to have been treated there. I developed close relationships with many of the doctors and staff members during my time in hospital,” added Martin. Martin says that during his hospitalisation, he had to come to terms with the fact that his life would never be the same again but he resolved to see his experience not in terms of an ending but as a new beginning. He has since developed a global business designing and manufacturing custom-built, all-terrain powered wheelchairs and is a well-known and highly inspirational motivational speaker. “I still stay in touch with many of the dedicated people who assisted in my treatment and rehabilitation, some of whom still practise at this excellent facility,” noted Martin. Netcare’s South West regional director, Sandile Mbele, says that as one of the first trauma facilities in the country to be accredited by the TSSA to Level 2, Netcare Garden City Hospital has played an important role within the broad national and provincial emergency and trauma systems over the years. “I recall Netcare Garden City Hospital making headlines during the 2010 public sector healthcare workers’ strike, when some 60 neonates, some weighing as little as 900g, were left stranded. They were saved by Netcare 911 paramedics and transferred to Netcare Garden City Hospital where a special Netcare emergency care centre was set up for these infants,” he added. Among the well-known patients who had been cared for at Netcare Garden City Hospital is Pippi Kruger, the little girl who made medical history by becoming the first person in South Africa to have a cloned skin graft, after suffering terrible burns in 2011. “For those adults and children who have required emergency medical care, South Africa’s first 24-hour private emergency department and Netcare Garden City Hospital have been a source of clinical excellence and quality care through the years, achieving impressive outcomes. We salute the many men and women who have served the hospital’s trauma system with such skill and dedication over the last three decades,” concluded Mbele.